This year’s Kadayawan Festival was made even brighter as Kapatid stars headed to Davao to lead the Kadayawan Phoenix Run, organized by Phoenix Petroleum. Over 2,500 runners took to the starting line to help save the city’s watershed. For every registered runner, Phoenix Petroleum committed to plant one tree in the Talomo-Lipadas Watershed to help maintain Davao’s biodiversity. To warm up for the 10K, 5K, 3K and 500m waves, runners joined an energetic Zumba routine led by Good Morning Club’s April Gustilo and Pat Fernandez. Participants were sent off by Enchanted Garden’s Alice Dixson, Third Eye’s Eula Caballero and Victor Silayan and Good Morning Club’s Makata. Those who dropped by the event also lined up to participate in games held at various TV5 activity areas. Games included the Pinoy Explorer Challenge and Shoot the Pong. Children present during the event also had their photos taken in the Cartoon Network and Disney-themed TV5 Kids area. Lucky race finishers also brought home TV5 gift packs during an exciting raffle draw. Kapatid stars also joined in the awarding of the Top Three Finishers for each distance category and the runner with the Best Jazzed-Up Singlet. 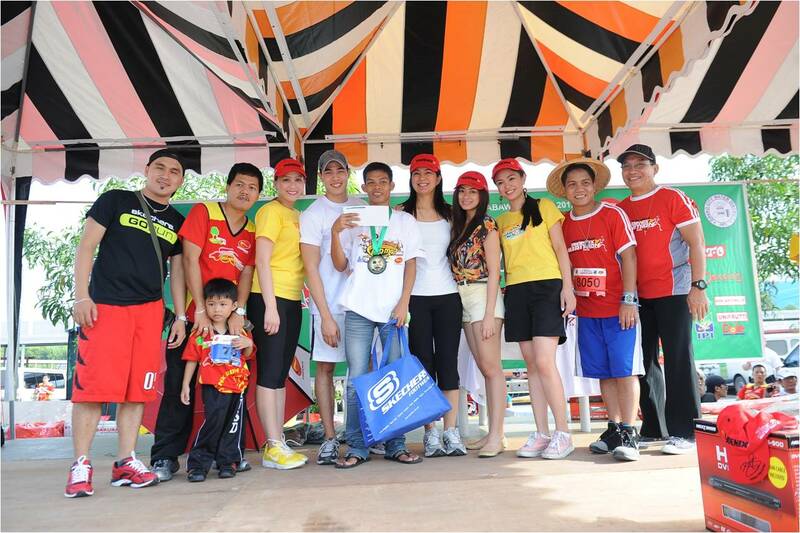 The ceremony also recognized the biggest NGO, School and LGU running groups who finished the Kadayawan Phoenix Run. To help sustain efforts made during the event, TV5 joined Phoenix Petroleum’s call for all Davaoeños to drop off PET bottles at their gas stations. These bottles will then be recycled as part of SM’s Trash to Cash program. Proceeds of the said program will be used to save Davao’s watershed.